Morels are considered to be the crème de la crème of mushrooms and for a reason. They have an exceptional flavor, apart from a long list of nutrients, including the vitamin D. Studies have shown that the amount found in these mushrooms is just as effective as vitamin supplements. That shouldn’t come off as a surprise, as morels are of course exposed to sunlight. As for other nutrients, the best way to protect against oxidative stress is, naturally, eating antioxidant-rich food. Fortunately, morels cover that area as well, with antioxidants meant to prevent tissue damage. And yet, in the end, all this doesn’t matter if you don’t like the way said food tastes. And I’ve run into that before. You can tell me over and over again how good beans are for my health, but I just can’t get behind them. I don’t like them. I can sometimes tolerate them when done right, but if I have options, be sure I will avoid them. 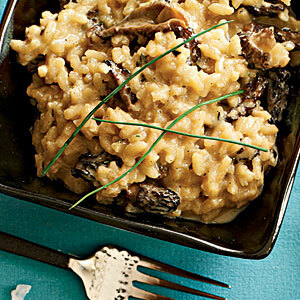 Luckily for me, I find that morels have an exquisite taste and this delicious risotto with morels recipe just proves my point. For those days when you feel like you need something a bit out of the ordinary, but not overly complicated, risotto with morels is the dish to go! Soak the mushrooms in warm water for about two hours. Remove water from the mushrooms and add to broth. Sauté the onion in the butter. Add the rice and toast for a minute over high heat. Add the white wine. When the rice absorbs the white wine, add the chopped mushrooms and a ladle broth at a time, stirring and adding broth when necessary. When the rice is cooked, remove from heat. Add the chopped parsley, milk and grated Parmesan, stir. Season with salt, some freshly ground black pepper and Serve. Morels is a good source of vitamins plus it is an antioxidant. 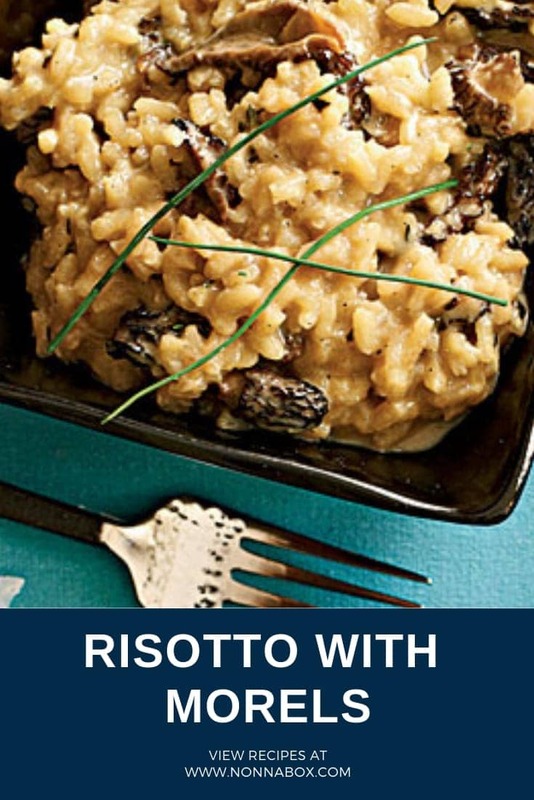 This risotto with Morels is perfect for someone like me who wants to stay fit and healthy. Try it… I’m having this at least once a week.